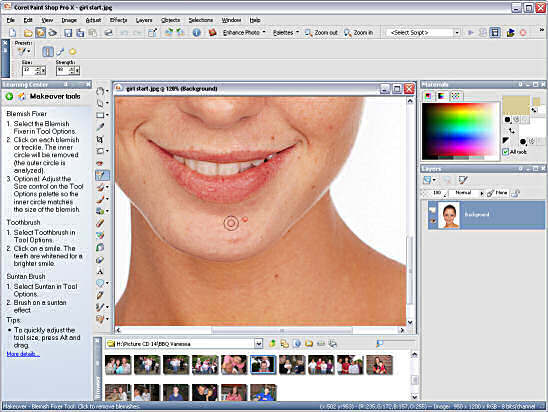 This is the first version of Paint Shop Pro to be released since Corel bought Jasc in October 2004, and several tweaks have been made to the program. The icons have been changed and certain features have been grouped together. The major change is the revamped Learning Center, which by default is docked to the left side of the screen. The learning center was in the previous version, as are several of the features Corel say are 'new', but now you follow the step-by-step instructions to complete the task you want. These are organised as Get Photos, Adjust, Retouch and Restore, Collage, Text and Graphics, Effects, Print and Share. This is a great help for beginners, but you can close the palette if you are an advanced user or do not want to use it. Also new is the Browser palette, which is integrated into the Paint Shop Pro X workspace at the bottom of the screen by default, and makes it easier to access your images. If you have number of images to browse through this is handy to have within the program, but a more complete solution is Photo Album 6, the standard edition of which is bundled with the program. There is a deluxe edition available as well, but we'll come to that program later. The Layers palette has also been improved, with thumbnails of the layers (which originally only appeared when you hovered over the layer) and a drop down menu for creating new layers. The bug that was in previous editions where the layer palette would restore to twice the normal width when you cancelled from a print layout has also been fixed. Some tweaks have been made to the original features, like the crop tool remembered the last size setting and the Raster Deform/Move tool combined into a new Pick tool. The Smart Photo Fix command is a variation of the one step photo fix. This magical option could fix photographs in one click by running several filters and features on your image, but you had no control over what they did. This is still available, but now there is a smart version which gives you several controls after it analyses the photo, such as correct colour, brightness, sharpness and saturation. I found that it tended to over compensate for the colour, making pictures orange and over bright, but you can click on the original picture preview to set what parts of the picture should be pure black, white and grey. This vastly improved the final filtered picture, but you have no choice of what colour element you are selecting, so it guesses that if you click on a dark area you mean that to be black. I couldn't find any way of cancelling a point other than cancelling the complete dialog. This seems to replace the original black and white points feature, which has disappeared. A new collection of filters called Makeover tools have a Blemish Fixer, Toothbrush and Suntan Brush are perfect for improving the looks of pale or bad complexion faces. The blemish remover is rounded version of the scratch remover and is perfect for removing spots or moles on faces (or any surface really). This is much easier to use that cloning tool, but can come into trouble if the area it uses to analyse is too large. 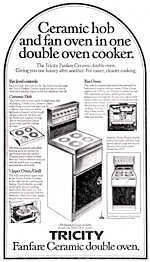 As with any of the tools you need to adjust the settings to get the best results. The toothbrush option whitens teeth, as you would expect from the name, and in most cases it does a good job. The suntan option is basically a brown tint, but I found it very hard to get any natural looking tan. The one click red-eye tool is a simpler way to get rid of the dreaded red eye effect from flash photography. With only a size and strength setting, you can just click on the red eye and it automatically darkens the eye to black, leaving a highlight if it is already there. There have been many ways of removing red eye, and this one is the easiest I have found. It's not 100% perfect, but with only a few clicks you can clear the most stubborn of red eyes, without having to select an eye size, or colour, or glint, sharpness, etc. The Object Remover is a new feature that's designed to help you eliminate unwanted elements in a picture and fill in the gap with the appropriate background detail. You select the object you want to remove with a lasso selection, and then you select a rectangular area to sample for the fill. It uses a random selection from this, so it only works for simple backgrounds. If you had a ball on a step, you could not use this feature to remove it, as you would get a crisscross of the steps in the gap. Objects on plain backgrounds, like lampposts in the skyline work best, but I found using the clone tool quicker and more intuitive. One of the annoyances of version 9 was the increased time it took to load. Paint Shop Pro X has 30% faster start up time apparently with better management for large photos, and near-instant undo and redo. It does seem to load quicker, but actual times will vary according to what else is running on your system, as well as your onboard memory and hard disc. Overall I would say it's marginally quicker. For the more technical user, there are some filters to convert to black and white pictures, or simulate infrared red images. As this can be achieved using other options in the program which advanced users would be aware of, I thought this was an unnecessary add on. There is now support for 16-bit/channel adjustments as well as ICC-based colour management with the ability to import and export CMYK images using ICC profiles. There is enhanced monitor calibration that allows LCD screens to be correctly calibrated and the program now supports over forty Camera Raw file formats. You also get Pixmantec RawShooter Essentials, a fully functional RAW converter that allows any level of user to get excellent results with the minimum of effort and knowledge. For users who want to learn more about what they can do with the program, there is 2 hours worth of Lynda.com video tutorials. These tutorials are QuickTime movie files, and show you how to make the most of this brand new version. You soon get use to the American woman's voice, but she does give you a lot of extra information, resulting in a longer video, than you really need. Still, video tutorials are a really good way ot learn how to use a piece of software. Photo Album 6 is a photo organising application tool that is very similar to Adobe's PhotoBridge, which comes with PhotoShop. I have never used any of the previous versions of this software, and unfortunately it had the honour of being the first piece of software to cause my computer to crash, and on one occasion reboot, in at least five years. The first time you run the software, it asks if you want to catalogue your pictures. There are several options, like looking in My Pictures, or selecting a folder, but the default option is the entire computer. It does not care about the size of the image, and so it will catalogue even tiny images used in web pages stored in your cache. I tend to store my photos on my hard disc until I have around 700Mb of photos, so I can then burn that to a CD. I already sort them into different categories, but this meant the program found lots of pictures to catalogue. After several gigabytes of images were found the computer froze, and this also happened on a second PC running XP (I was running Windows 2000 on my main PC). The next time I ran the program it continued to catalogue the pictures, and I got a blue screen of death and a reboot. Only after searching through the options to switch off the cataloguing did the program remain stable. It also boasts a Zero Click Download for getting images into your PC from either a camera or removable media. It does this with a program running in your system tray, and when you insert your media or plug in your camera, the program will ask what you want to do with the media it detects. This is exactly what XP does with its autorun feature (and in fact they both try to run), but the Corel version can be set up so that it does a particular action for the specific media/camera. Once this rule has been set it will run automatically every time. My digital camera comes with software that already does this, and I'm sure other cameras have something similar. Beginners using XP could be perplexed with the Corel downloader and XP asking you what to do with the media, as well as their camera software asking questions when they plug it in, so you would have to set it up so you don't have three pieces of software trying to do the same thing. Photo Trays is an option where you can effectively create a 'to do' list for your images, ready to email, print or upload to an online photo site. There are some basic editing tools for the images and auto rotation based on the EXIF data from the camera (if available) but you can also open the photos in Paint Shop Pro X for a more detailed fix. 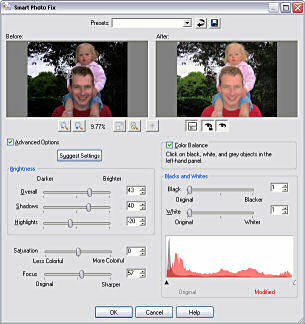 Automatic backup of your images with a system called PhotoSafe reminds you when you should back up your photos, and includes a CD writer interface and if you can't keep track of your photos, a recent downloads list keeps track of the last ten groups of photos downloaded so you can quickly locate your most recent snapshots. The project templates initially looked great, offering you different projects to create photo calendars, greeting cards, scrapbook and album pages, collages, video CDs, multimedia slide shows and certificates. The photo collage templates were very good and easy to use. You select a template then chose a folder with the images you want to include. You drag and drop the photos into the spaces on the template, and it will automatically fit the image to the template, or crop it to fit (although you can change this in the options). You can drag the image to position the image viewpoint in the template, or zoom in or out to get the framing correct for the picture. You can then save the project or print it out. 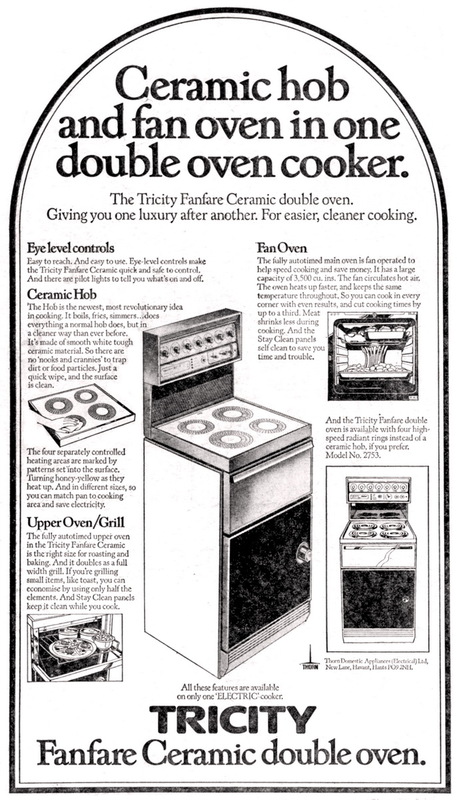 Some of the other templates were lacking in choice (like two dummy magazine covers) and there were no options to move the text, or add a shadow. With the calendars I could chose a variety of styles for the page layout, but I couldn't change the font for the month to be in bold, for example. They may have put limits to the template to make it easier to use, but I was frustrated that I couldn't customise the job to what I wanted. The changes made to Paint Shop Pro X are not major changes from version 9. Yes, the Learning Center is improved, and so are parts of the interface, but there are no big changes for the advanced user. The Photo Album 6 software is supposed to help the beginner who takes lots of pictures, but the lack of options on some of the templates and the seemingly instability when cataloguing a large number of images left me a bit wary of the product. 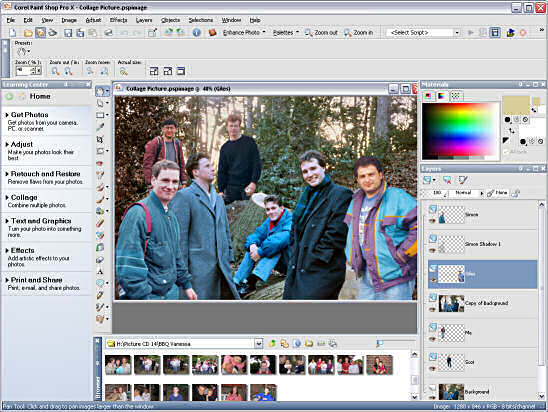 Paint Shop Pro X retails at £99 (although the Corel website site lists it at £85) or £41 for an upgrade from a previous version, and Photo Album Deluxe retails at £29 (no upgrade price given on website). Users should note that there is already an update to 10.01 available from the Corel website at www.corel.co.uk. This maintenance release contains 9 fixes for general issues, plus 10 Camera Raw improvements, 5 TIFF format fixes, and 2 JP2K format fixes. It doesn't make any changes to Photo Album 6, but the website recommends it for all users. The Browser palette's auto-scroll feature now stops when you select a thumbnail. IPTC data edited via the Browser palette is now correctly saved. Problems with adjusting Date Taken field on JPEG files have been fixed. Problems launching Paint Shop Pro by double-clicking an image have been fixed. The Date Taken field can now be set to dates prior to 1970. Problems with saving paletted images have been fixed. Saving 24-bit files to EPS/IFF/PCT/XWD formats no longer gives an incorrect message that the bit depth needs to be changed to 24-bit. The Image Arithmetic command now correctly clips color values. Merging vector layers while the layer name is in rename mode no longer causes problems. If you eject a CD while the Browser palette is generating thumbnails, Paint Shop Pro no longer becomes unstable. EXIF data is now fully supported in Camera Raw formats. Camera Raw de-mosaicing quality has been improved. The auto-rotate feature now works with Camera Raw files. Nikon D50 Camera raw files are now supported. Canon EOS Kiss Digital N Camera Raw files are now supported. Olympus E-1, E-10, and E-20 Camera Raw files are now supported. Canon Rebel XT/350D Camera Raw thumbnail quality has been improved. Kodak DC760C Camera Raw thumbnail quality has been improved. Pentax *istD Camera Raw thumbnail quality has been improved. With the cursor over a Browser palette thumbnail of certain Camera Raw files, the tooltip info that appears no longer reports color photos as greyscale. TIFF files containing multiple alpha channels are now saved correctly. IPTC metadata is now correctly read from and saved to TIFF files. Resolution settings are now saved correctly in CMYK TIFF files. Problems with some CMYK TIFF files not generating preview thumbnails have been fixed. Problems saving CMYK and RGB TIFF files have been fixed. Problems with JPEG 2000 (JP2) files containing transparency have been fixed. Color shift issues when saving layered files to JPEG 2000 format have been fixed.